It has become increasingly clear to me through the course of both this class and my current project that there is very clear tension between opinions on the real world vs. cyberspace. The fact that we continue to make this distinction is even a matter of contention for some. The heart of the matter is that as the Internet becomes more and more integrated into our lives, the blurrier the line between cyberspace and the real world becomes. Lawrence Lessig discusses this tension and the questions that arise and consequences that could occur because of it in his book Code 2.0. He notes that we want (at least now) cyberspace to be like the real world; however, it’s becoming clearer that this is a limit that may soon become nonexistent. In the real world, we abide (or not) by social norms, physical laws placed on us because of the nature of being human or because of the government regulations respective of our geographical location. Most of us behave a certain way (or at least viewed that we should act a certain way) because of these laws that we have very little control over or will take a great deal of time and effort to change. In cyberspace, however, it is a new enough world, so to speak, that none of these laws that we have in the physical world can be in place or be as effective if we do try to enact them. In cyberspace, “the law is the code” by which that particular space has been organized. Unlike the months it takes Congress to develop or change a policy, if there is something in cyberspace that needs to be changed, it only takes an instant to change the code, or that law. But, Lessig points out that this ease in changing code could lead to other problems with those that interact inside cyberspace, not just with those that are in the real world that want to control/regulate cyberspace. This is a point that Carl Sunstein made, which I discussed on my blog last week, about how we are not being forced to confront things online like we would have to in the real world. If we can just as easily “code away” our problems, rather than work them out or punish the “troublemakers,” how does that then translate how we behave in the real world, if we continue to make this distinction. It is impossibly difficult to look across the range of Jake-like characters and not think that, at some point, the virtual has crossed over into something real. Or, at least, the virtual has real effects–either on those who live it, or on those who live with them…. The Net enables lives that were previously impossible, or inconvenient, or uncommon. At least some of those virtual lives will have effects on non-virtual lives–both the lives of the people living in the virtual space, and the lives of those around them (p. 20). So while at the moment we continue to make the distinction between your online and offline self, it is clear that both still effect each other and those around you. And with the growing popularity of social media, your online and offline self are quickly becoming one and the same, and even multiple versions of them. But however you live your life, either in the real world or in cyberspace, it will still effect you in both and effect others around you in both. We’ve heard plenty of stories about how relationships that were only online quickly turned to offline relationships or how infidelity in a video game caused a real world divorce. It is evident that “real world vs. cyberspace” is really becoming more like “real world = cyberspace”, with a fluid movement between the two that becomes a whole other world that is different from how we view our “real world.” We are just beginning to reconcile between the two, and we still have much time, discussion, experimentation, and thoughts regarding it and how (or if) we should behave and be controlled in cyberspace and how to change it. When you log on to the Internet, where do you go? Since you are reading my blog, I’ll assume that you do get on at least occasionally to fairly regularly. Besides my awesome blog (*shameless self-promotion*), what other sites do you go to? How long do you spend on those sites? If you are a frequenter of cyberspace, I’m guessing you check your email, which might lead you to other links of funny videos, news reports, etc. Then, maybe you go on Facebook or Twitter, or your other favorite social media outlet of choice, and from there you might also be led to more funny videos, news articles, links to other sites, etc. shared with you by your friends. Perhaps you have several favorite blogs or YouTube channels that you catch up on that discuss things that interest you, which again might lead you to other places in the World Wide Web that you might like. Maybe you have to do some online shopping, so you get on Amazon.com or your search engine of choice to do a search for the particular item you are looking for, and most often (and especially on Amazon) you’ll find your item and others like it along with other items people like you also purchased with that item. As creatures of habit, many of us have a routine that we follow when we log online. For me, I log on to MSN.com, browse through their main slideshow of random news topics, headlines, and interest pieces (if anything interests me, I open it in another tab to read later), log in to Hotmail to check my email (deleting, responding, and opening links in new tabs as necessary), go to Google to log in and check my Gmail (again deleting, responding, and opening links), and then I go to Facebook and Tumblr (browsing and commenting etc. ), read all of those tabs I had opened (or glance at if I have since lost interest in reading it), and then back to Google where it is now my own iGoogle page with things I like on it. This is my daily routine when I get online. And as you can tell, most of what I have picked for myself has been things that I like, that I find an interest in, and that apply to me. I have found an increasingly easy ability to personalize my Internet experience, as I’m sure you have found to be true for yourself as well. When society is fragmented in this way, diverse groups will tend to polarize in a way that can breed extremism and even hatred and violence. New technologies, emphatically including the Internet, are dramatically increasing people’s ability to hear echoes of their own voices and to wall themselves off from others (p. 44). While we have found this to be true in some cases—that we are echoing our own opinions and beliefs when we continue to only associate with those that are of the same opinions and beliefs and continuing to create extremes (Tea Party, anyone? )—I think Sunstein is all too reluctant to point out that meeting with people of the same opinion is not inherently dangerous and to be avoided (Civil Rights movement, anyone?). I understand he wants to make us aware and cautious of how we use the Internet and the resources there in, but I’m not sure we will ever receive a fully personalized Internet/communication/media experience. I realize I can’t predict the future and I may be having to change my tune, but while we associate with things we like on the Internet, we will always come across unplanned and unanticipated things because (luckily) we are not all the same. While we might have similar views, there are still things we’ll disagree on. AND because we still live on Earth, there are things we’ll still experience together, be it locally, nationally, or globally. Of course there are risks to government with the Internet (as there are with any new technology and media), but we can still experience what Sunstein is afraid we’ll lose because of it: unplanned encounters and shared experiences. And by finding, through the Internet, those that are of the same opinion, which Sunstein fears might result in an echo chamber that causes nothing but extremism and violence, people can ban together to promote or protest a cause or policy. It is not only through a shared experience but through a shared belief that movements and activism can be brought about. While the dangers exist, I’m not sure we can fully fear them nor fully avoid them, and like Sunstein says “the Internet is hardly an enemy here. It holds out far more promise than risk” (p. 222). How those promises will be realized will depend on us. While we can continually customize our Internet experience to our preferences, we cannot customize our friends and associations on the Internet to be exactly how we want them to be. Because of that we still have the ability to be confronted with opposing views and unanticipated articles that we can then share and discuss with others, through which freedom and democracy can continue to progress. While looking around us at the state of the world and what society has become, many of us wonder why it’s so crappy. We wish and long for someone to come along and rescue us from the destruction and chaos that we have inflicted upon ourselves. We want a superhero to come and clean up our oceans like Captain Planet, or stop all of the corporate goons and villains from ruining and corrupting our Gotham like Batman, or maybe even reverse time like Superman. Unfortunately these superheros aren’t real, and no one person can swoop in and fix all that is wrong with the world. But, what we need is not some stranger to come in and save us. What we need is us to realize that together we are stronger and together we can be the superhero that puts the world back together. Impossible you say? I disagree. Perhaps the problem is that we have good intentions to make the world a better place, so we do things online like give to charities or become fans of nonprofit organizations on Facebook, but when it comes down to real, physical action on our part we flake out. We make up excuses because the work isn’t easy and we like the easier option of just clicking on something online because it makes us feel better about ourselves without having to put forth any real effort. Or perhaps the problem is that our idea to save the world is too broad for us to formulate a plan and actions to produce that result. We cripple ourselves by thinking that because we can’t save the whole world, why should we bother doing anything at all? We don’t know how to get from where we are now to where we want to be, so we stay where we are. We need someone or something to show us the little steps that we can all work on together to help us achieve our ultimate goal. With the help of this website to bring us together, we can click on things that help us see the steps from point A to B. We can see these microactions and think to ourselves, “Yeah, I can do that. That’s pretty easy.” But the site helps us get away from our clictivist/slactivist tendencies because for some microactions it will require work–not so much it will be overwhelming, but just enough that we will rise to the challenge. I’m hopeful that the more of us that help and contribute to each other’s microactions and ideas, the closer we reach the goal of saving the world. Because after all, you are our Superman. Save us. In The Structural Transformation of the Public Sphere: An Inquiry into a Category of Bourgeois Society, Jurgen Habermas bemoans the fact that the public sphere disintegrated because the separation between the public and private spheres dissolved and could not be distinguished from each other and together became a new social sphere. Habermas blames it on the fact that private families became consumers and they lost their connection to writing. While I’m not disagreeing with his reasoning, I think the real tragedy is not the creation of a social sphere so to speak, but of the loss of intimacy we used to have when the public and private spheres were separate. The private sphere was mostly comprised of one’s family, and occasionally others were invited in to salons to discuss, but for the most part the public sphere pertained to the state and was kept away from the private domain or the home. However, once the two spheres started blending, “the intimate sphere, once the very center of the private sphere, moved to its periphery to the extent that the private sphere itself became deprivatized” (p. 152). Once the intimate sphere started becoming less and less intimate, there was and is a loss of connection and a disintegration of relationships with one another. The shrinking of the private sphere into the inner areas of a conjugal family largely relieved of function and weakened in authority–the quiet bliss of homeyness–provided only the illusion of a perfectly private personal sphere; for to the extent that private people withdrew from their socially controlled roles as property owners into the purely “personal” ones of their noncommittal use of leisure time, they came directly under the influence of semipublic authorities, without the protection of an institutionally protected domestic domain (p. 159). We only create an illusion when we believe that by retreating into our home, away from the public, we have an intimate private sphere. This is even more true today than it was perhaps at the time when Habermas wrote this book. We go to work and school and have a public persona that we display while we discuss things with others. Then, we go home to where we can be ourselves and be private, only we do not have privacy because for most of us, we have a television (a connection to the public sphere within our private one), or access to the internet. Even more so, we have online identities that we can either use in the public or private sense. But, as we put more and more of our private lives online either with blogs, videos, or social media profiles, we no longer have an intimate sphere in which to go about our private lives. No matter how secure our privacy settings, no matter how few connections we make between our public and private lives, we still have blended our public and private spheres to a point where we are only fooling ourselves if we are convinced we have privacy and intimacy. 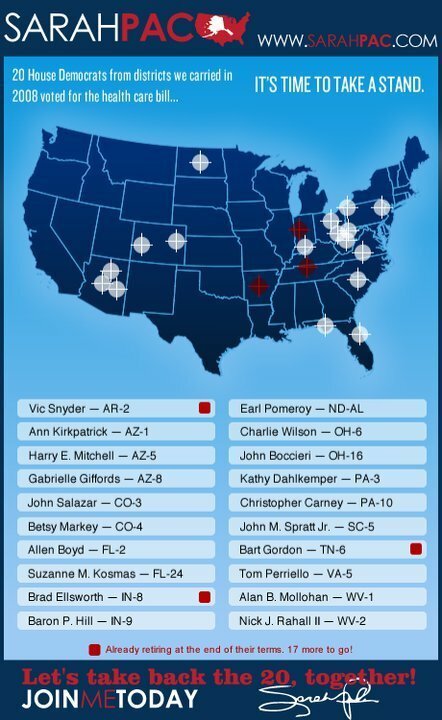 Recently, there has been much debate and controversy over the fact that the following map (to the left) provided on Sarah Palin’s website was the inspiration, for lack of a better term, behind the tragic shooting in Arizona. While it remains to be seen on whether or not the alleged shooter, Jared Loughner, was actually using this map as the reason for his attack, if it is true, it would make a rather strong case against those who wish to incite their fellow online protesters to action. Granted, I realize this is a terrible example, but I find the concept of using the internet and social media to produce real-life change intriguing. I’d just rather use it for good rather than for evil. Take for example all of the websites and Facebook pages that various non-profit organizations have. They might have thousands of people flocking to their site or “liking” their page, but are they seeing any real results from those people? For example, the American Red Cross has a Facebook page in which 234,355 people “like” it, but of those 234,355, how many have donated blood or money or time for the American Red Cross? It’s easy to like a charity page on Facebook; it makes you feel good knowing that you are supportive, at least online, of that group, and more importantly that all of your friends can see how charitable you are as well. But, becoming a fan of an online page is not the same as donating your time, money, or resources to further the cause of that organization. This takes real effort, real-life effort. More than likely, a majority of the people who like the American Red Cross page have donated in some way to the cause, but we can never really be sure. Making sure people know about your organization and advertising what it is that you do is important. 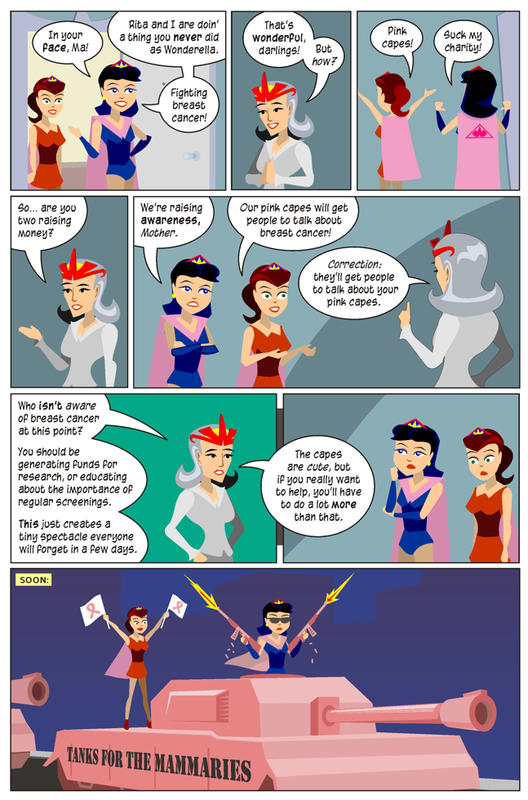 Many organizations are all about creating awareness for their cause. But when do you stop creating awareness and start doing something about it? When do you transition from getting people to stop clicking and start volunteering? How do you get people to abandon their clicktivist attitude and adopt an activist one? All I want is, both online and offline, world peace. After getting a few pages into Blown to Bits: Your Life Liberty, and Happiness after the Digital Explosion by Hal Abelson, Ken Ledeen, and Harry Lewis, I couldn’t help but think of the TV show Hoarders. The show goes to people whose homes are filled to the brim with things. It varies on what those things are, sometimes it’s wrappings of all kinds, or old appliances, or reams of paper, or clothes. Most often, these people have kept these things over several years, just letting it pile up and not being able to give up anything or throw anything out. The show’s therapist and crew tries to find out why they have kept these things and tries to help them, as the show website states, “start on the road to recovery” to clear away everything they have hoarded. Many times, the hoarders do not even know or remember what is in the piles of things they have kept, they just know that it’s important to them in some way, so it gets stored. While there are other psychological elements that go into how and why the hoarders on the show are the way they are, I would argue that we have become digital hoarders. Our data storage capacities on our computers have grown larger and larger over the years because all of our data needs to be kept. It’s important to us (or to others) in some way, so we have to store it. Take a look at your email box. If you use Gmail, or something similar to it, you don’t ever have to delete an email ever. You can archive every email you have ever gotten. How many do you have? I’m not a very heavy Gmail user, so I’m only using 17% of my storage. Only 17%! I can save so much more and not even worry about it! However, it’s not only what we look at and keep that gets saved. Think of all the “bits” that are recorded and saved in various memory banks and storage devices around the world about you that you don’t even know about. If you have a credit card, a bank account, a cell phone, etc. all of the information that can be obtained from those things gets stored, and “the data will all be kept forever, unless there are policies to get rid of it” (pg. 11). The difference between the Hoarders on the TV show and us digital bit hoarders, is that it is rather difficult to search through and keep track of the things that the real-life hoarders have held on to. For bit hoarders, though, it’s incredibly simple to search through, keep track, see trends, and research all of the data that is kept by us or about us. Maybe it’s time we have an intervention and get help in clearing away our data and demand that policies are in place that allow us a little more privacy when it comes to our digital bits. Wow… email is too slow? Remember that thing we started to call “snail mail”? What are the kids calling email these days? “Sloth mail”? At the end, he explains that he wants his box of letters like his grandmother had. I, too, have always wondered how I’d show my future children about how their dad and I got together/fell in love etc. through love letters (like my parents have with me) because I know that the majority of these love “letters” wouldn’t be letters at all but texts, chats, emails, FB posts/messages and the like. I love the idea of having it all in one place saved in a chat history, much like the “conversation” emails are set up on Gmail. In fact, it reminds me a little bit of the new Google Voice platform that rings all of your phones so you’re always reachable with just one phone number. Apparently we’ve fragmented ourselves so much that we need things like Google Voice and Facebook’s social inbox to put us back together again in one piece place. Speaking of Google… apparently there’s some controversy between them and Facebook involving this not email thing. Hopefully they’ll work things out so the kids can play with these new toys. Perhaps we should suggest marriage counseling? YouTube Killed the Video Star… Or Did It? You’ve heard the song “Video Killed the Radio Star” by The Buggles, right? Printed words did not kill spoken words. Cinema did not kill theater. Television did not kill radio. Each old medium was forced to coexist with the emerging media. That’s why convergence seems more plausible as a way of understanding the past several decades of media change than the old digital revolution paradigm was. Old media are not being displaced. Rather, their functions and status are shifted by the introduction of new technologies. For the most part, I agree. At the moment, we still have the printed word and spoken word, cinema and theater, TV and radio, and all of these have had to transition and transform into our more digitized and internet-focused way of life. In a way the different media have had to take on the forms of each other and in turn conform to the digital world, but they are still here. However, since we can’t predict the future, I’m hesitant to say that these “old media” will still be around, or at least not in the way we think of them, although we’ll probably still call it the same. Here’s what I mean. Take books for example. With the emergence of eReaders and eBooks, in the future we might not have actual printed words any more. Granted we’ll probably still call it that, just like we call files and folders on a computer after the actual paper files and folders. Radio is branching more and more on the internet, and we might not have actual radios with antennas in which to pick up the various radio stations or broadcasts anymore, but we’ll still call it radio anyway. Much like I mentioned in my last post, I think the shift that we see happening, that Jenkins describes as this convergence, is not where one form will beat out another one or “kill” it, but instead the new and the old will merge and create a hybrid media that combines both old and new in this entirely different way; new will be old remixed. I think the move towards a hybrid media in our culture is evident in the fact that there is a move towards hybrid cars, the popularity of remixes, mashups and the like, and the combination of various forms of media into something like our smartphone. The only thing stopping this new hybrid media is the past, as explained by Rip: A Remix Manifesto, and those that are part of this past that want to control this new future. Or as I like to call them: The Man. Let’s stick it to him! In our technology-filled, plugged-in, super-connected world, most of us cannot go more than an hour (although for some its more like 10 minutes) without checking one of our many devices to see what new information is out there, be it relevant to our jobs, school, personal/social lives, or society at large. Some of us are very lucky indeed if we go through an entire movie at a theater without hearing a ring or seeing someone text on their phone (I have much more to say on this issue, but for now I will just say a theater is a sacred place!). This technology and connectivity has made the way we function and perform our tasks different. In her article “Hyper and Deep Attention: The Generational Divide in Cognitive Modes,” N. Katherine Hayles discusses how there has been a cognitive (and generational shift) between deep attention–that of “concentrating on a single object for long periods, … ignoring outside stimuli while so engaged, preferring a single information stream, and having a high tolerance for long focus times” (p. 187)–and hyper attention–that of “switching focus rapidly among different tasks, preferring multiple information streams, seeking a high level of stimulation, and having a low tolerance for boredom” (p. 187). Even Linda Stone in her lecture, “May I Have Your Attention Please?” talks about the shift between simple multitasking (doing either one routine and one cognitive task, or two routine tasks at the same time) and complex multitasking (doing two activities that require cognition at the same time). Both of these kinds of attention are good for certain things. Deep attention is good for when we want to focus on something like a complex math problem or concentrate on reading a book. Hyper attention is good when we have to focus on multiple things or are faced with quickly changing situations. However, Stone remarks that it is in these “deep attention” moments, or times when we are not bombarded with multiple stimuli, that lead to new ideas, innovation, creativity, and insight. I don’t think Sir Issac Newton was sitting under a tree checking his Blackberry when he came up with his law of gravity. But back to this generational divide: I think we can all agree that this shift between simple to complex multitasking or deep to hyper attention has occurred. Many people fall on one side of the generational divide or the other, but there are a great deal of us that find ourselves in this liminal space of attention, caught between deep and hyper attention because we grew up while the shift was occurring (although some are closer to one end or the other). Let me explain. 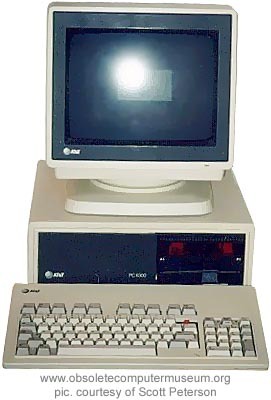 Having been born in 1986, I do remember a time without the internet (although not without computers because when I was three we had this little gem). I remember a time without cell phones (I even remember beepers, sadly), a time where television only had 10 channels to choose from, and a time where our entire movie collection was VHS tapes not DVDs, our music collection was cassette tapes not CDs or MP3 files, and our book collection was actual books not e-book files. However, despite my ability to recall these low-tech times, I still did my growing up and learning years when technology started to become more prevalent in our everyday lives. In contrast, I have two younger siblings (one’s 14, and the other’s 13), who don’t know (or at least don’t remember) a world without cell phones, cable TV, CDs, or the internet. They, unlike me, have grown up with these being the common, normal, everyday things that are a part of life. Yeah, they might have heard or learned or read about a time without this technology, but you can’t go back to something that you’ve never been to or experienced (and really, why would they want to?). Since they have grown up with information in abundance and with easy access, it’s easy for them to switch between multiple tasks (checking Facebook, doing homework, skype-ing with a friend, and texting; yes, I’ve seen my brother do this all at once). Now, I don’t find it difficult to multitask; I think I can do it better than my parents and especially my grandparents, but I can’t switch between them as quickly as my siblings seem to be able to do. I still find myself wanting to at least finish reading the article or watching the video clip before moving on to another one or something different. I am in this liminal space of attention, where I want to perform more hyper attention (I feel in our current society it is almost demanded), but my deep attention-trained brain prevents me from doing too much or going as fast as I feel I should be going. I suppose this is a good thing; too much complex multitasking, as Stone suggests, limits our attention, the quality of our work, and our creativity. But in a world where it seems like the incoming generation is so used to hyper attention, will I get passed by because I’m not fast enough and *gasp* turn into my parents/grandparents? If, however, the upcoming shift that Stone believes is coming, that of a shift toward wisdom from knowledge and understanding, and a call to action to “allow classroom space to be reconfigured and… [build] bridges between deep and hyper attention” (p. 195) by Hayles occurs, perhaps this younger generation will start to shift towards the liminal space as well, or at least learn to exist in it, causing it to no longer be a liminal space, but a new, hybrid form of attention. I think, especially in today’s world, we need both forms of attention and multitasking, but we need to find a balance between the two. We need to recognize that sometimes it’s okay to be connected to the world and have tons of information at our fingertips, and sometimes it’s okay to unplug ourselves and be away from technology for a bit every now and again so we don’t get too caught up in the noise and miss our opportunity to have a deep, insightful, and epiphany-like moment. Who knows? You could have come up with a way to solve world hunger, but you were too busy checking Twitter. Of course, immediately after this interview, several people remixed it to a “great dance beat” and made Stephen upset, causing him to post his own remix. In the interview, there were a couple points that I wanted to bring up that our reading and Steal This Film mention as well. The first is the argument that remixing copyrighted material is stealing. In Information Feudalism, Drahos and Braithwaite talk about how copyright “was a leaky system. People could make use of bits of copyright information for free claiming that it was fair dealing, that the information was too insubstantial to merit protection or that what was being used was the idea and not the expression (copyright protects expression and not ideas)” (p.58). In a sense, the claim of fair use is still in place today with people claiming fair use for parodies and educational purposes. But, do remixes count as part of that fair use? Should they be? Does it depend on what they are remixing, and if so how do you regulate that if you think it should be? I remember when Google employed a new technology (Content I.D.) to YouTube a while back that automatically took down several parodies and spoofs that used the movie Downfall, sending thousands of people into an outrage that their works had been taken down when they clearly fell under the fair use act of parodying. Google has since apologized and put several back up, but it still brings up the issue about how to regulate and identify what is fair use and what isn’t. Both Steal This Film and Information Feudalism make the point that it is inherent in human nature to share and create. Steal This Film points out that the internet, peer-to-peer file sharing sites, and new technologies create a shift of consumers to creators, having them become masters of their own content. The film included interviews of several artists and remixers that were happy to have others take their work and create something new and to collaborate with them, saying that sharing is like breathing and is at the heart of existence. Drahos and Braithwaite point out that “people to a large extent are naturally disposed to create” (p. 211). Where it gets tricky is in the “supporting and rewarding [of] such work” (p. 211), which Drahos and Braithwaite claim that granting intellectual property ownership is not the most significant way to grant this support or reward. This is the second point in the Lessig-Colbert interview that is up for debate. Stephen Colbert claims that by his “remixing” of Lessig’s book he profits from it and that’s ok, but that no one can take his work and remix it without his permission. A remix is an act of creating something new (that then gets shared with others), which will happen because it is what we as humans are wont to do. But, it is when the remix benefits someone else that is not the original copyright owner that people or artists get upset because they are not being acknowledged or paid for their original work. This leads me to wonder, is remixing okay if the remixer does not get any benefits or credits the people whose work he used? Is it the sudden shift of the remixer benefiting, like receiving money from downloads of it perhaps, that then makes it unfair? I think this really depends on what side of the fence you’re on or what part you play in the issue. For example, whenever I’m in my car and I’m driving in a parking lot at a mall or a shopping center of some kind, I always get irritated with the pedestrians that take forever walking to their car, or crossing the street, or that walk down the middle of the lane. However, if I’m not in my car and I’m the pedestrian, my mindset changes, and I take my time because I think in my head, “I have the right of way, and I don’t care about you, stupid car! Deal with it!” The same applies for the remixing. If I’m the person remixing (or perhaps even the consumer of the remix? ), I would think that what I was creating was something new that I did so that people will enjoy it (or as a consumer, just to enjoy the creative take on the original). But, if I’m the original artist and had learned that someone took my work and used it in their own, I think I would be upset. I would want some kind of acknowledgment or royalty perhaps or at least permission from that person to be able to use it. Wouldn’t you? Oh, also there will be cookies. (You know “C” is for cookie, too.) So, see you in class! There is a difference between remixing and sampling (as explained in class). Is remixing stealing? Is sampling? Does attribution excuse music sampling/remixing? Is it enough? If copyright laws should be changed, how should we change them? Should we have them at all or where do we make the distinction between different forms of media? Is it the moment that a remixer receives money from his use of others’ works that suddenly makes it not okay to use them? Sadly, it all comes back to money and who gets recognition/credit/royalty when it comes to remixing and the use of original work (and sometimes it’s not even the original artists, it’s the distribution/record company). The legislation will follow the money, and in that case, smaller, lesser known artists will get lost. Where you stand on the issue changes what you think is proper: the original artist vs. the remixer. Here is the link to the cookie recipe for those that wanted it.